I am going to start adding articles of things that I find interesting, cool, or challenging around the studio so we can all learn from my mistakes! The first article is up and called: Sequencing the Yamaha CS-40M from Elektron Analog Keys/4. I hope you enjoy it or at least find it useful! Intrepita (Paul Stillwell) releases a new free Dark Ambient track “Darkening Skies”. Video for Midnight Drive Released! New Instruments & Sample Packs Coming! Bowed, struck, rubbed, etc. These are high quality samples (24 bit, 96 kHz) through contact microphones. Combined with the pre-chosen effects or your own these can make some very cool, ethereal sounds. These samples are excellent source material for your own sample based sound design too! I have already used some of these samples in my own performances. 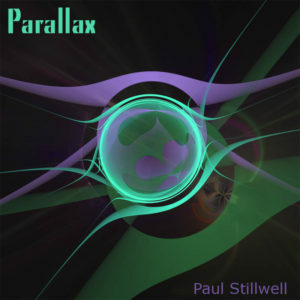 Parallax by Paul Stillwell – Album Release! I am really happy to announce the release of my first solo album, Parallax! This is an album that has been a year in the making. Each song was performed live in a single take in order to preserve the spontaneity I love that only comes from live improvisation. I hope you enjoy it! RO2 was created using an analog modular oscillator all samples for this instrument were recorded at 24 bit / 96 kHz so you get all the analog goodness! Every note between C0 and C6 sampled giving 73 individual samples per wave form across sine, saw, square and triangle wave forms resulting in 292 individual samples (~810 Megabytes)! This attention to detail gives you the best samples for everything from acid and dub basses to searing leads and ambient pads. The Ableton version of the pack provides 5 instruments and 1 effect rack. The Komplete version provides 4 instruments and one multi along with an instrument interface that has all controls exposable for automation in your DAW! The Generic version provides the raw samples complete with Acid Loops for import into your favourite sampler. You get access to all three versions with your purchase! Please have a listen to the demo tracks below. All sounds with the exception of drums were made with RO2! Happy New Year from Intrepita! Today we launched our new store and published our first sample based instrument! It’s called RO2. More than just samples, this is a sample based instrument that you can use for creating your own sounds (or using ours) in your own compositions! As we create more we will try to ensure that each will be available in Ableton Live Sampler, Native Instruments Kontakt, and generic/Acid formats (Acid format provides the ability for us to add loop points that most modern samplers will understand). RO2 was created using an analog modular oscillator. 73 samples per wave form (C0-C6, sine, square, saw and triangle) were recorded at 24 bit / 96 kHz so you get all the analog goodness! Everything from acid and dub basses to searing leads and ambient pads. The Ableton version of the pack provides 5 instruments and 1 effect rack. The Komplete version provides an instrument interface with all controls exposable for automation in your DAW! The second instrument will be called Singing Bowls. Based on 24 bit / 96 kHz samples of Tibetan Singing Bowls this pack brings to you tuned instruments based on different performance techniques: Soft mallet strike, small stick strike, soft dowel strike, hard dowel strike, rubbed, and bowed. Each bowl has unique characteristics in terms of fundamental frequencies, harmonics, and sustain. Different performance techniques accentuate the different characteristics of each bowl. We are still working on the final layout of the site and the details of the second instrument. But the first one is complete and ready for you! Please have a listen to the demo tracks below. All sounds with the exception of drums were made with RO2! © Copyright 2019 Intrepita Inc.